Minecraft Pocket Edition For Android Out Now! 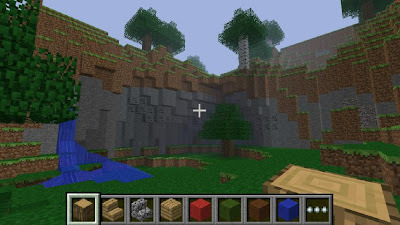 Mojang have released Minecraft Pocket Edition to the android market. Now personally I have never played this game, but from what I understand, it's a fantastic way to lose a lot of your free time! It's quite expensive at Â£4.26/$6.99, and at the moment is available exclusively on the Sony Ericsson Xperia Play. But I don't think that price will stop the fans of this game from buying it anyway!